The older that I get the more I cherish special memories made with my loved ones. We always spent Thanksgiving at my grandpas house on my mom’s side of the family. My grandpa passed away many years ago, but the memories of Thanksgiving still hold strong. One thing that sticks out about Thanksgiving to me is my aunt Kathy’s pies. 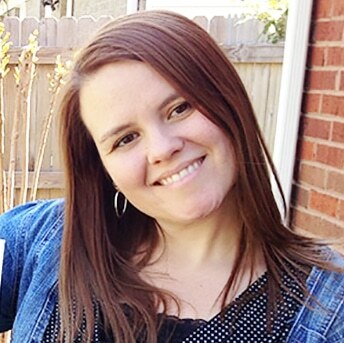 She is known for baking up delicious pies and my favorite of hers is the pumpkin pecan pie! Yum! 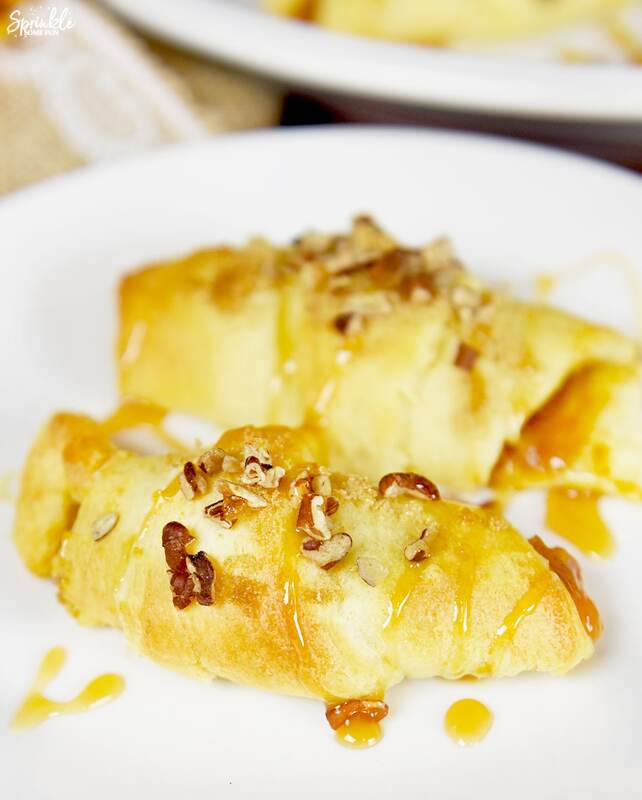 I wanted a quick and easy dessert using pumpkin and pecan and these Pumpkin Pecan Crescent Rolls were perfect! 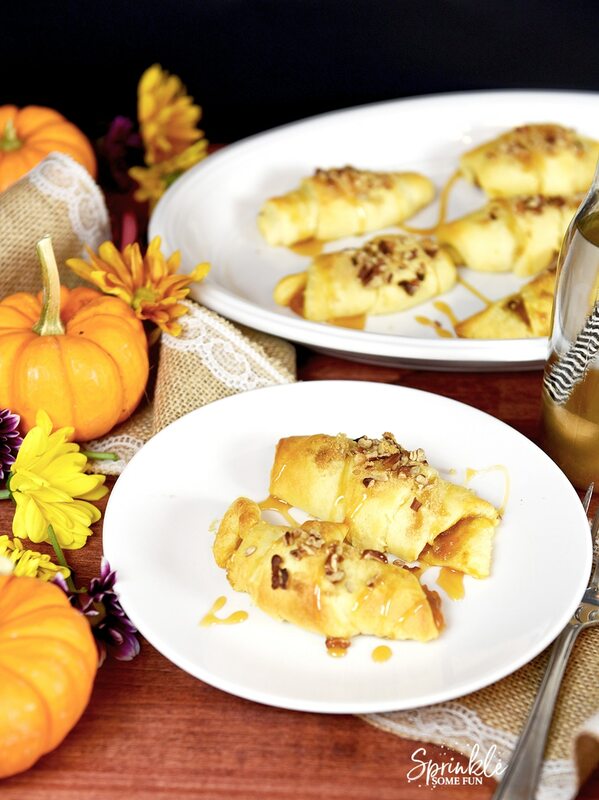 The nutty flavors with the pumpkin pie spices make these crescent rolls rich and delicious. 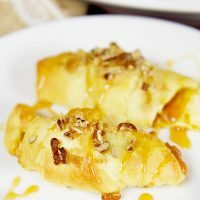 I used Pillsbury Butter Flake Crescent rolls for this recipe! They always bake up perfectly for me and taste great. Pillsbury is hosting the 48th Pillsbury Bake-off® Contest and so it’s time to get the family favorite recipes submitted. To add a little sweetness to the rolls I used a sprinkle of brown sugar on top and a little caramel sauce drizzled on top. 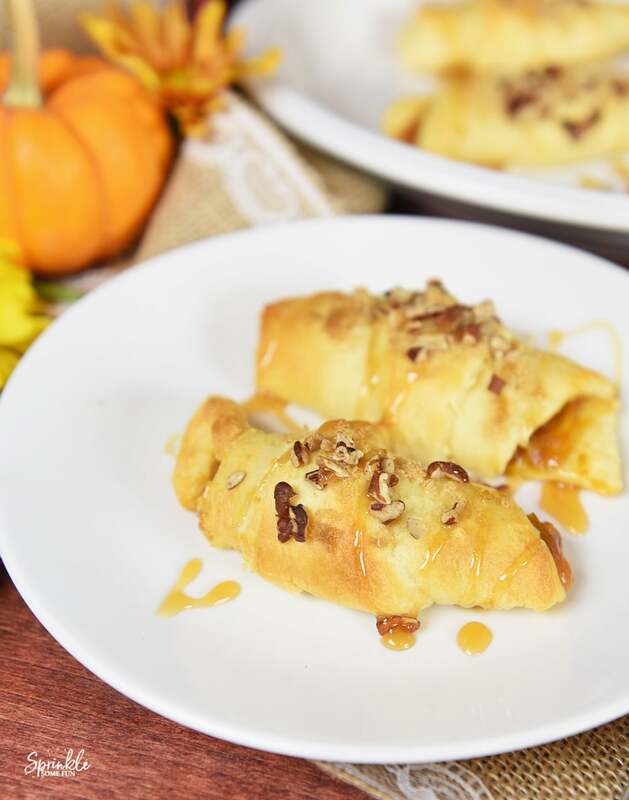 We all loved the taste of these Pumpkin Pecan Crescent Rolls so much and my kids are already asking when we will make them again. Preheat oven to 375 degrees F. Roll out the crescent roll dough and separate each crescent. Take the pumpkin pie filling and place 1 tsp. of pumpkin pie filling onto the bottom of each roll. 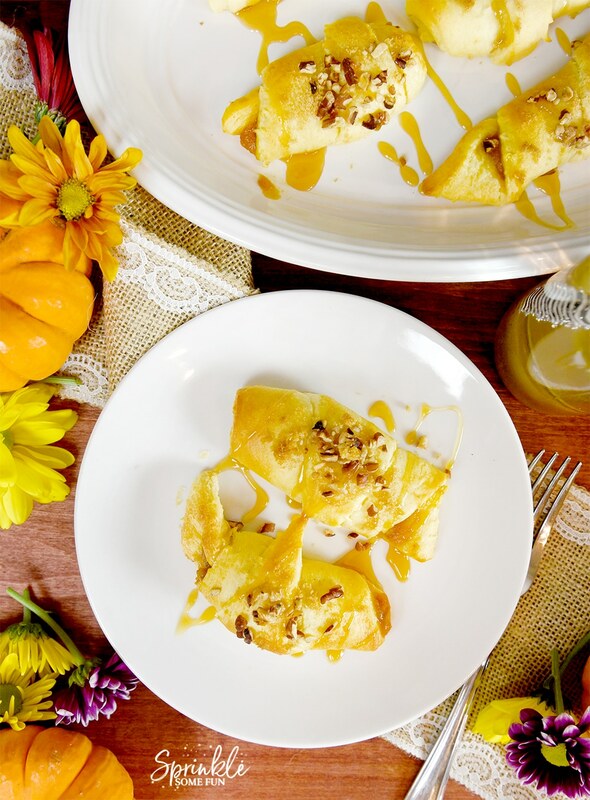 (you can freeze the rest of the pumpkin pie filling for another dessert if desired). sprinkle a few pecans on top of the filling and then roll each crescent up normally. Sprinkle a little brown sugar and pecans on top of each roll and then press the pecans lightly on top to make sure they stick. Bake for 8 minutes or until lightly browned. 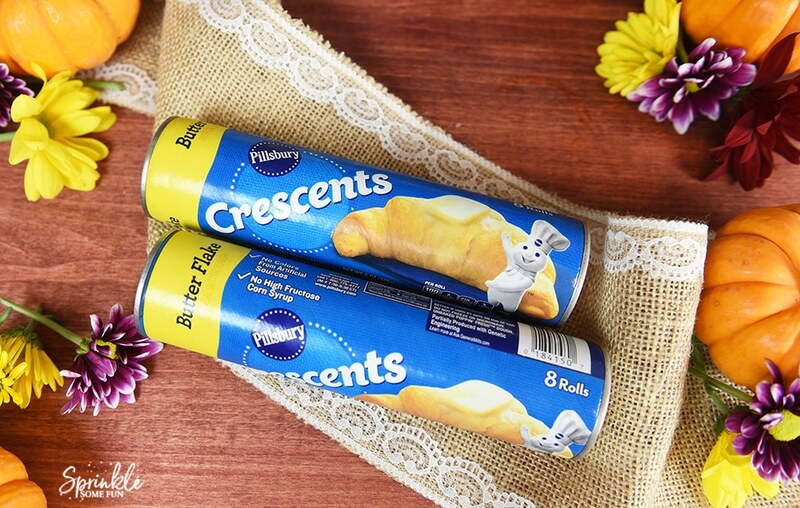 Pillsbury Bake-Off® Contest at bakeoff.com for your chance to win!